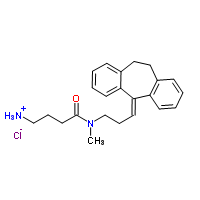 BioLineRx, a biopharmaceutical development company, announced today that two Notices of Allowance have been issued by the United States Patent and Trademark Office (USPTO) for BL-1021 (see structure), an orally available small molecule for treating neuropathic pain. The first has been issued for a patent application claiming BL-1021's composition, that when issued, will be valid until at least September 2022. Additional patents claiming BL-1021's composition are granted or pending in Europe, Japan, Canada, Korea, Mexico, Israel, India, China and Australia. The other Notice of Allowance is for a patent application claiming the use of BL-1021 for the treatment of pain, that when issued, will be valid until at least January 2028. BioLineRx receives two U.S. patent allowances for BL-1021 to treat neuropathic pain: BioLineRx, a biopharmaceutical development company, announced today that two Notices of Allowance have been issued by the United States Patent and Trademark Office (USPTO) for BL-1021, an orally available small molecule for treating neuropathic pain.